We hope to see you all there! 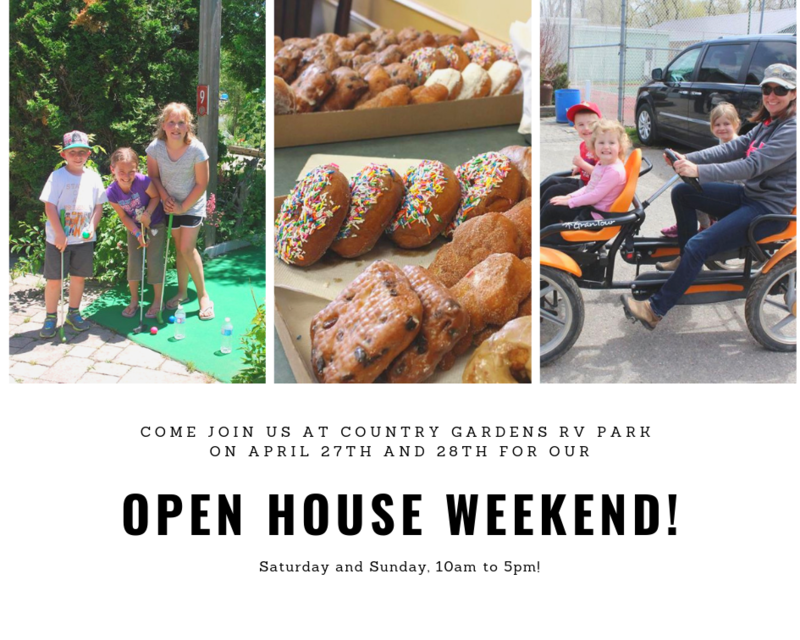 Saturday and Sunday April 27th and 28th from 9am to 5pm. We'll gave door prizes, free donuts and free mini golf (weather permitting!) Take tours of our new Woodland Park and Catalina models for sale as well! 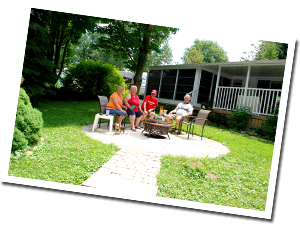 Country Gardens RV Park is a great place for families and friends to kick back and relax. People have been enjoying our park since the 1950s. We are located minutes outside the city, in the beautiful countryside of Wilmot Township. 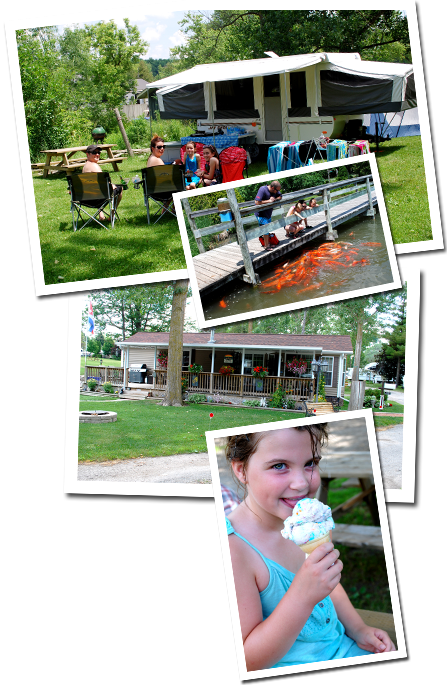 Our seasonal and overnight campers love Country Gardens for the friendly, clean, and family-oriented setting. 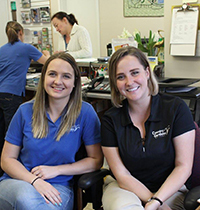 Often, they come to enjoy the variety of events and activities we have to offer. At the park, we also have an excellent selection of new and used trailers for sale.